Our Curriculum places emphasis on fostering self-identity, forming relationships, collaborating intellectually, learning socially, and promoting creativity all within the context of STEM. Every child will grow through activities, inquiry, play and projects focused on introducing 21st century skills. This generation is expected to lead the nation through innovation, creativity, critical thinking skills and collaboration. Our school is designed for the 21st century learner and inspired by world renowned educational approaches, such as, Reggio Emilia, Project Based Learning, Science, Technology, Engineering Arts and Mathematics (STEAM). It is a place where teachers facilitate learning, value the child and all adults are partners in the power of collaborative learning. In order to prepare the 21st century learner we have to understand the characteristics of the new generation born into the digital world, a generation that does not remember a time before smartphones, twitter or skyping with grandparents. Young children are encouraged to explore their environment and express their understanding through many modes of expression or "languages." In our 21st century approach, we understand that “languages” are not limited to verbal communication but also include creating codes in a software, conducting scientific experiment, or by other modes of expressions such as movement, drawing, painting, sculpture, movie production, dramatic play, collage, and music.One of our educational principles based on the latest research on Early Childhood is that learning for young children is integrated and includes different skills and content areas. Therefore, their learning overlaps different content and development areas. For that reason, our enrichment spaces offer children opportunities to make connections and see relationships across concepts. We have designed our spaces based on the current research through innovative partnerships. The generation of schools understands that children integrate children.Our exclusive proprietary Enrichment Curriculum promotes inquiry, curiosity and excitement about learning and multiple opportunities to integrate learning domains with a focus on STEAM (Science, Technology, Engineering, Arts and Math) and 21st century skills. Our curriculum enables preschoolers to construct understanding through meaningful experiences and interactions with the community connecting Common Core Standards and 21st Century skills across all learning domains. Children have the opportunity to actively engage, experiment, create and discover using an unique inquiry based approach that allows children to integrate core domains to reinforce concepts and provide real world relevance through student responsibilities and teamwork. Early experiences shape how the brain develops and a strong foundation in the early years increases the probability of getting children excited about careers in STEM fields. Our Amazing Explorers solve problems, create solutions, foster innovation, collaborate together, and construct their own learning process. Our approach promotes invaluable skills rooted in early learning experiences and will spark the desire to continue learning throughout their lives. Why do we focus on STEM? An increasing number of jobs at all levels—not just for professional scientists—require knowledge of STEM (Science Technology, Engineering and Math). Yet, research documents that by the time students reach third grade, a third of boys and girls have lost interest in science. That means millions of students have dismissed these careers before they advance from Middle school. By the time they graduate from High school, only 44 percent of 2013 U.S. high school graduates are ready for college-level math and 36 percent of students are ready for college-level science leaving the United States in a distant ranking in the number of industrialized nations of high school students performance in Math and Science. 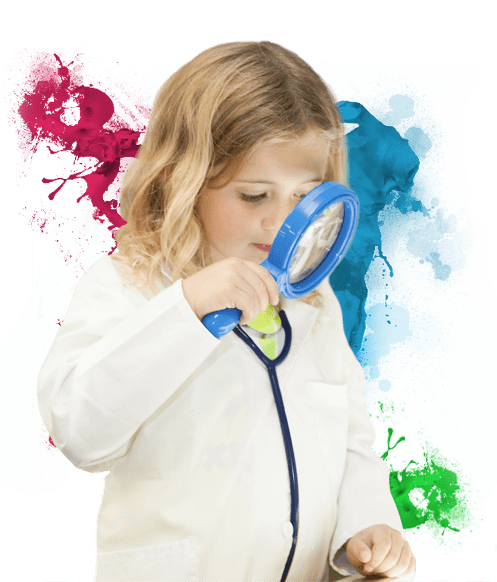 At Amazing Explorers Academy® we believe that the STEM (Science, Technology and Engineering) problems begin before students begin formal schooling and that the concepts at the heart of STEAM and 21st century skills are innate in young children. Young children are natural scientists, engineers and problem-solvers. The National Accreditation Commission for Early Care and Education Programs (NAC) is a national accreditation program that was developed for early care and educational programs that are used to promote professionalism and quality in child care. This information is for informational purposes only and not intended as an offer to sell, or the solicitation of an offer to buy, a franchise. An Amazing Explorers Academy® franchise is offered only by our delivery of a franchise disclosure document in compliance with the Federal Trade Commission's rule on franchising and various state franchise sales laws.